View full 2018 Winternationals results below. They are running about 45 min behind tonight. They pulled all the cars on track to pack it in. Just when they were about done 3 of the lights kicked off. Jonathan Davenport sets overall quick time. 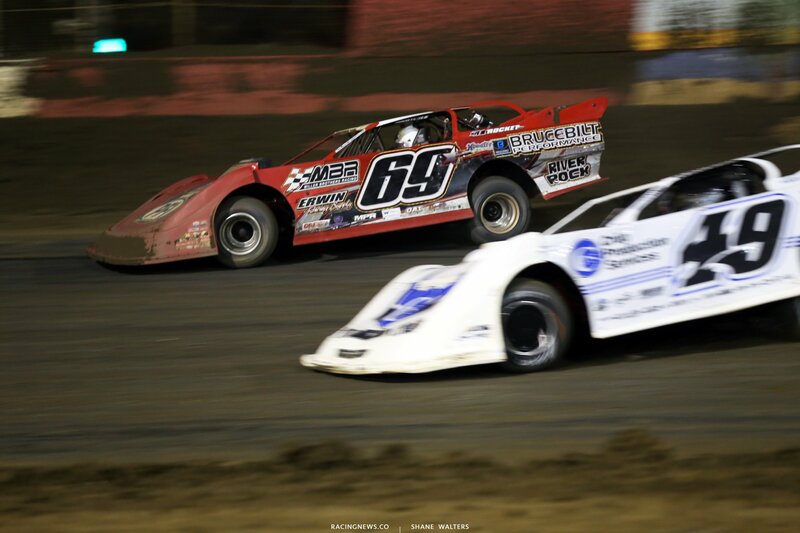 Billy Moyer Jr and Gregg Satterlee lead them to green in heat race number one. Even into turn 1. Side by side down the back. Satterlee takes the lead in turn 3 on the outside. Spin in turn 3. The caution is out. Green, Moyer slips to 3rd. Pierce is struggling in 11th. Satterlee wins heat race number one. Timothy Culp and Carder Miller line up behind the pace truck. Green, Culp takes the lead in turn 1. Trouble in turn 2! Richards was looking under Miller for 2nd. They made right front to left rear contact. Richards went around. It looked like Richards expected Miller to pick a land a little higher. He didn’t and Richards got in too hot. Or Miller just made a diamond out of it and cut down on the nose of Richards. Hard to tell. Richards to the tail. Green, Culp hits the cushion and stays there. Miller is running through the middle. He’s maintaining the gap but no pressure on the leader. Culp wins heat race number two. Jonathan Davenport and Dennis Erb Jr set row 1 in heat race number three. Davenport drives it in 30 feet deeper than Dennis Erb. He maintains that gap off the corner. The race is for 2nd. Caution, car slow in turn 4. Green, this time Davenport has a row to himself. He selects the outside regardless. He punches it from the cushion and drives down the banking at the green flag. This time Davenport is clear by 30-40 feet off turn 2. Bloomquist is all over Dennis Erb Jr for 2nd. He takes that position. 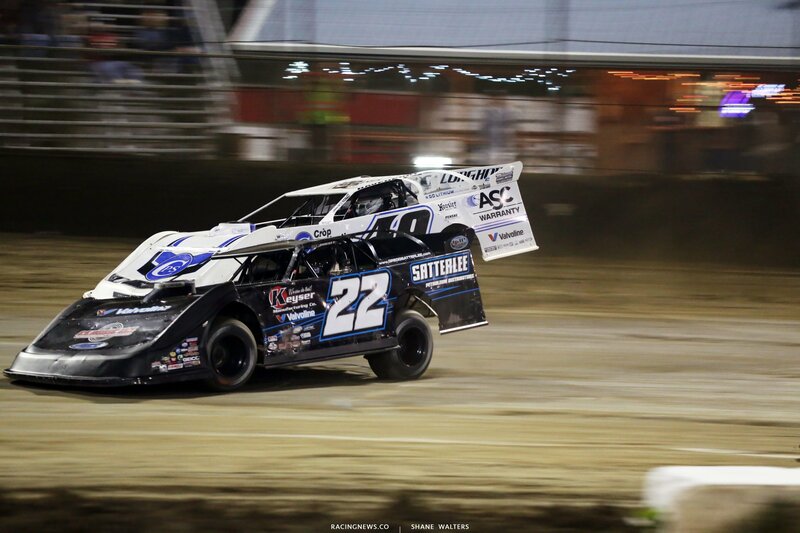 Bloomquist to 2nd. Davenport wins heat race number 3. Kyle Bronson and Tyler Erb lead them to green. Bronson leads in turn 1. Tyler Erb dives to the bottom in turn 3. Hard on the throttle, he slides just ahead of the nose of Bronson. Bronson tries to get it back with a return slider. He’s not clear, Bronson lifts and Tyler Erb drives around on the outside. Two to go, Bronson looks low in turn 1. He’s got him! The hometown driver is back in the lead with two to go. Bronson takes a low entry to turn 3 to block any attempt at a slider. Tyler Erb is all over his bumper but Bronson holds on for the win. Josh Richards wins a all-star B Main. He fought off pressure from last nights main event runner-up Devin Moran. Earl Pearson Jr ran away with B Main number two. Gregg Satterlee and Jonathan Davenport set the front row for tonights main event. 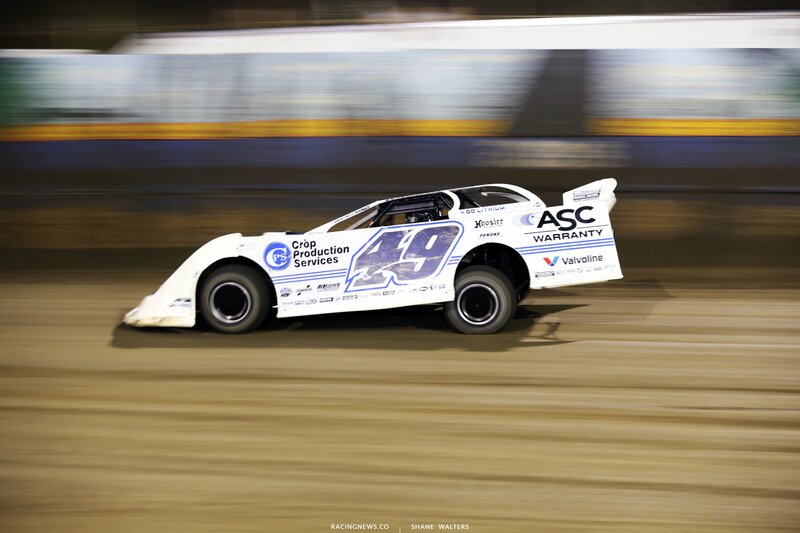 30 laps around East Bay Raceway Park. Josh Richards starts 17th, Moran 19th. 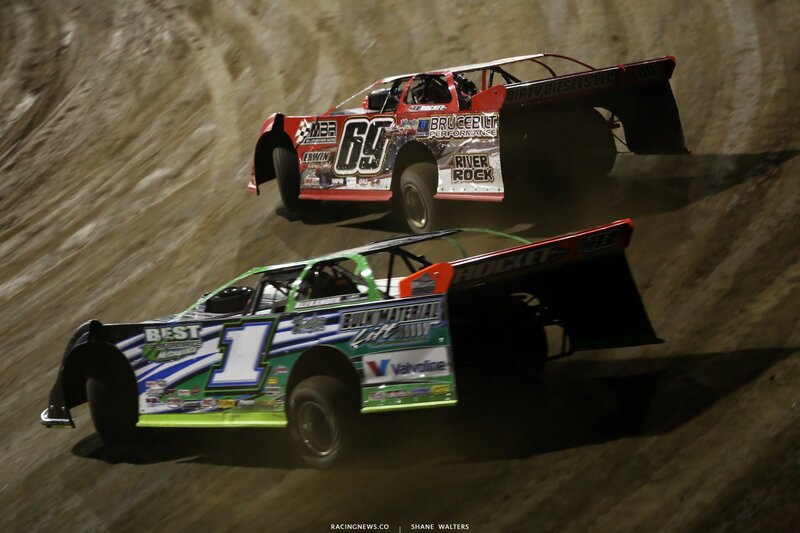 Both of those drivers led laps in last nights main event. 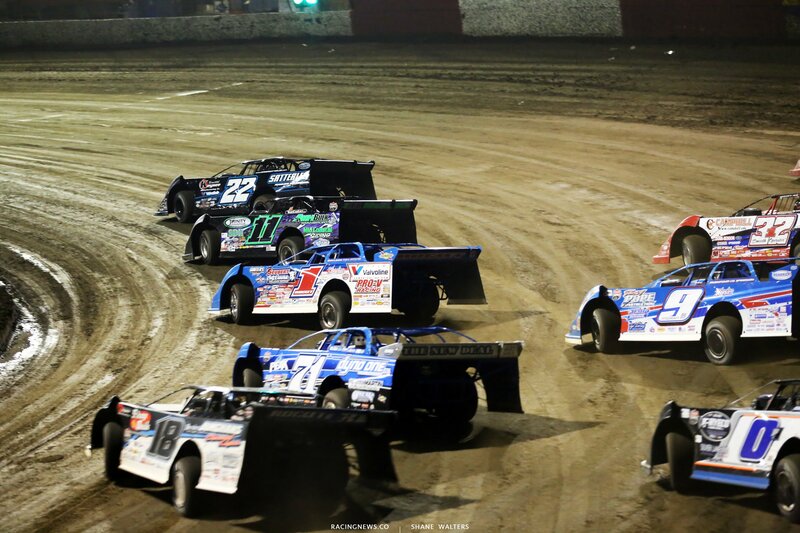 4 wide salute and we’re going green. Green flag is out, Satterlee dives down of the banking. Satterlee leads by a half car length into turn 1. But, Davenport is fighting back on the outside. Davenport takes the lead off turn 2. Bronson heads the the highside. He gets loose off turn 4 but collects back up. Bronson is chasing down Satterlee for 2nd. The run nose to tail up top. 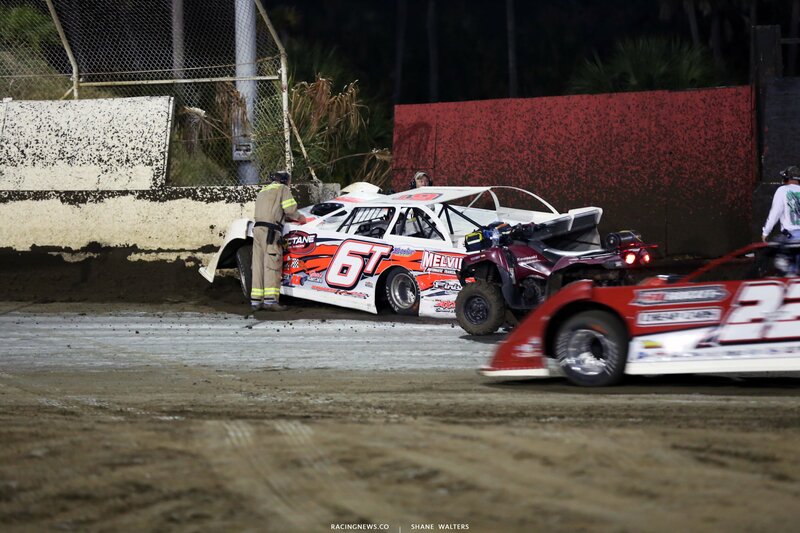 Lap 11, Tim Dohm has caught the wall at the gate at the entrance to turn 3. I didn’t see it but it looks like it was hard impact. Dohm has pushed open the gate. Officials look mostly unsure of what they’re going to do to fix it. The gate is bent open by about two feet. That leaves a protruding wall right at the entry to turn 3. They use a tractor to push it from the back. They have forced it closed. 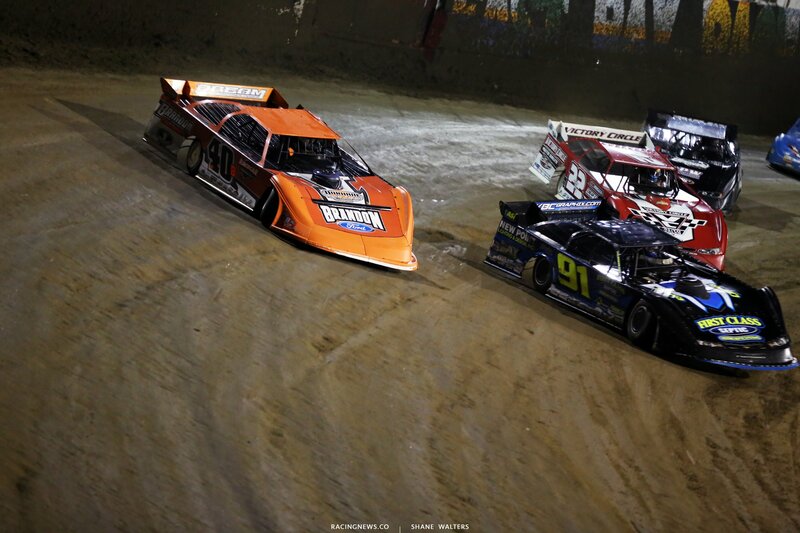 Green, Bronson nearly grabbed the lead at the entrance to turn 1. But, he lost it all on the exit. In one lap, he falls to 9th. Richards, Overton, Sheppard are all coming. Lap 22, trouble! Satterlee and Overton have tangled down the back. Satterlee is turned at 90 degree angle for the outside wall. Richards is hard on the brakes, somehow he avoided it all. Satterlee makes light-ish contact with the wall. Green, Davenport has checked out! Coming to the white, Miller is at the tail of the lead lap. He running the cushion, the same line as the leader. Davenport dives to the bottom in turn 3. He clears Miller but he jumps the cushion in turn 4. Overton closes quickly as Davenport struggles to gather it up. Overton is coming quickly and looking to the inside in turn 1. Overton throws it in deep. I think he cleared Davenport but he leaves the top open. Davenport carriers momentum around the top. They run even off turn 4. Davenport is clear into turn 3. 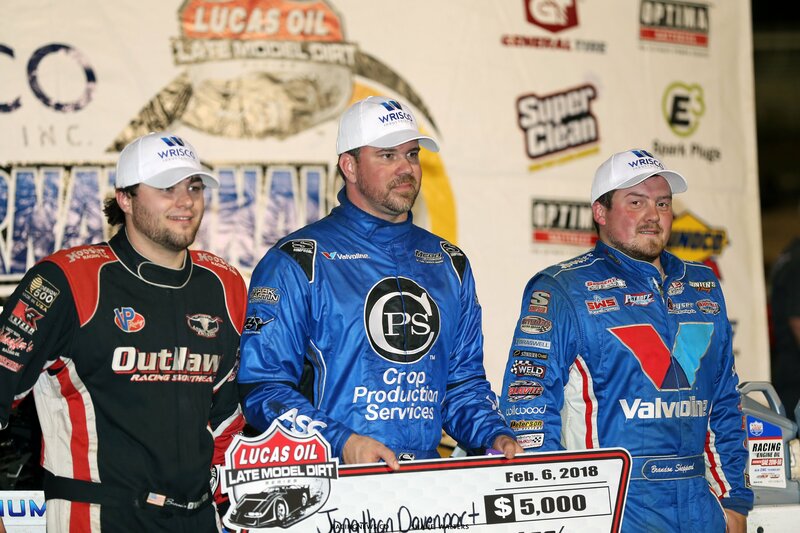 Davenport wins night two of the Winternationals at East Bay Raceway Park! 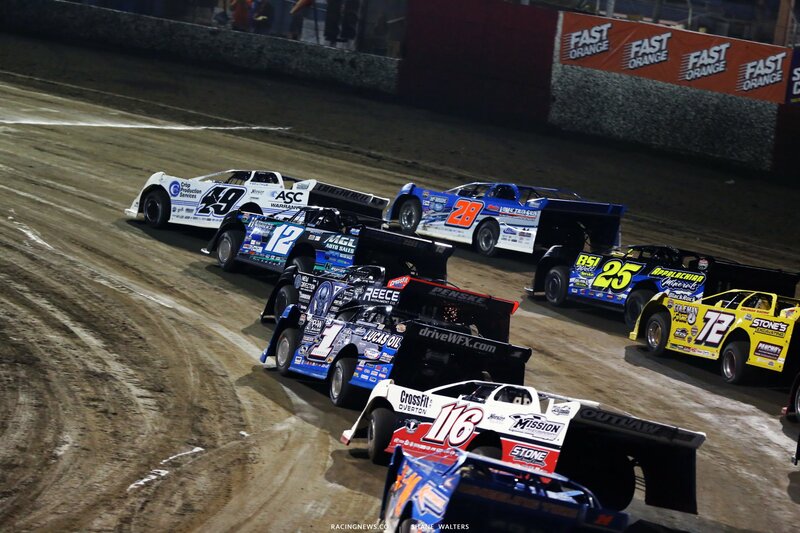 Tomorrow night, they’ll do it again, same Florida track.